When this book was first published in 1967, it was one of the first pieces of research to systematically examine the manpower problems associated with rapidly changing technology. 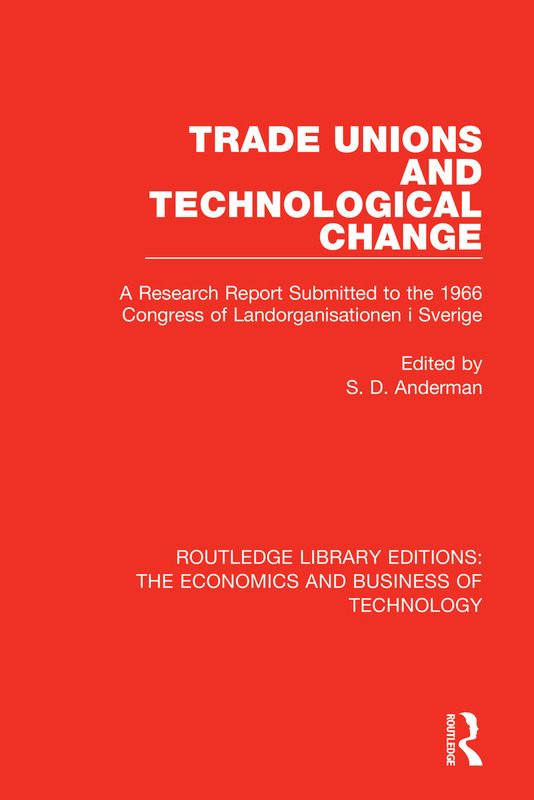 It discusses issues such as technological change and unemployment, changes in the structure of employment, the mobility of labour, occupational structure and adjustment, hours of work, and labour-management relations. Its findings suggest that structural unemployment and redundancy are only two of a host of difficulties accompanying technical progress. Although the book originated in Sweden its relevance is clear to other Western european countries and researchers and policy-makers in the USA.